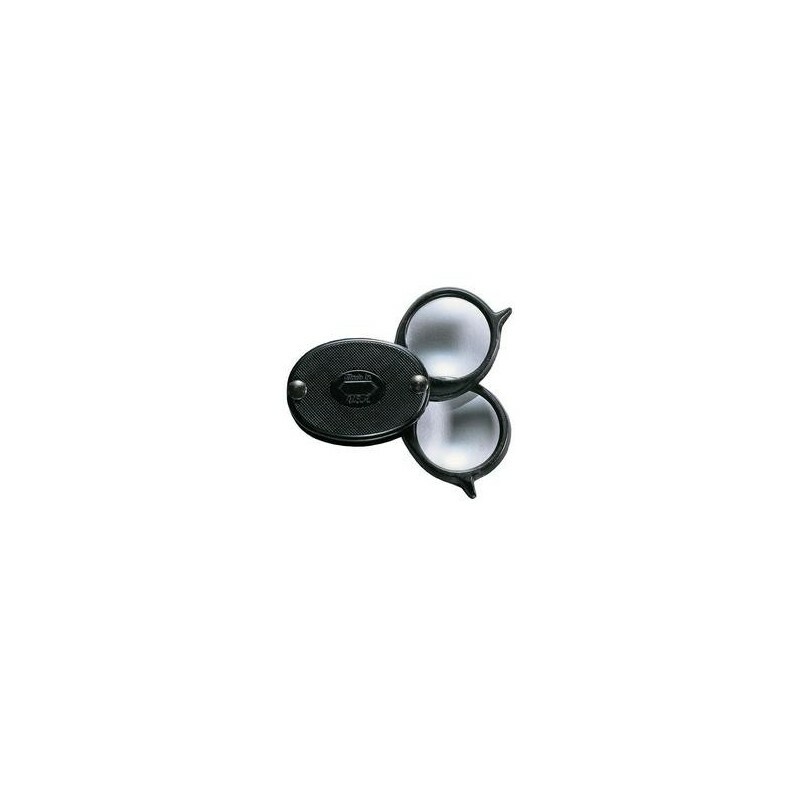 These convenient POCKET FOLDING MAGNIFIERS provide you with the inspection power you need while youre working on the move. Great for working in the field, stores easily in a pocket. Lenses are made of ground and polished optical glass. 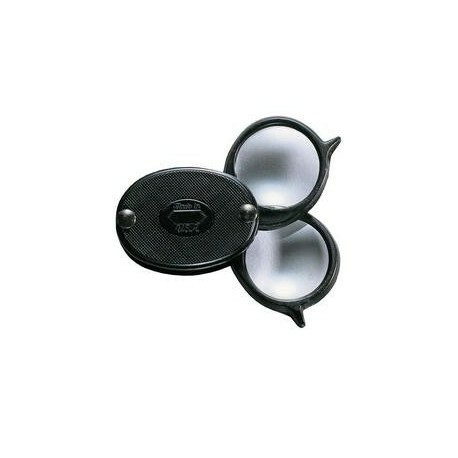 Black, molded plastic case lens pivots into case for storage. Features a pivot point at the end of the lens, allowing you to turn the lens into the protective case when not in use. Features two powerful lenses which can be used independently for standard applications, or collectively for superior magnification power. Two powerful 4x magnifying lenses. Lenses are 1 in diameter. Two powerful 3x magnifying lenses. Lenses are 1-1/4 in diameter.